June and July tend to be the busy months for moving. 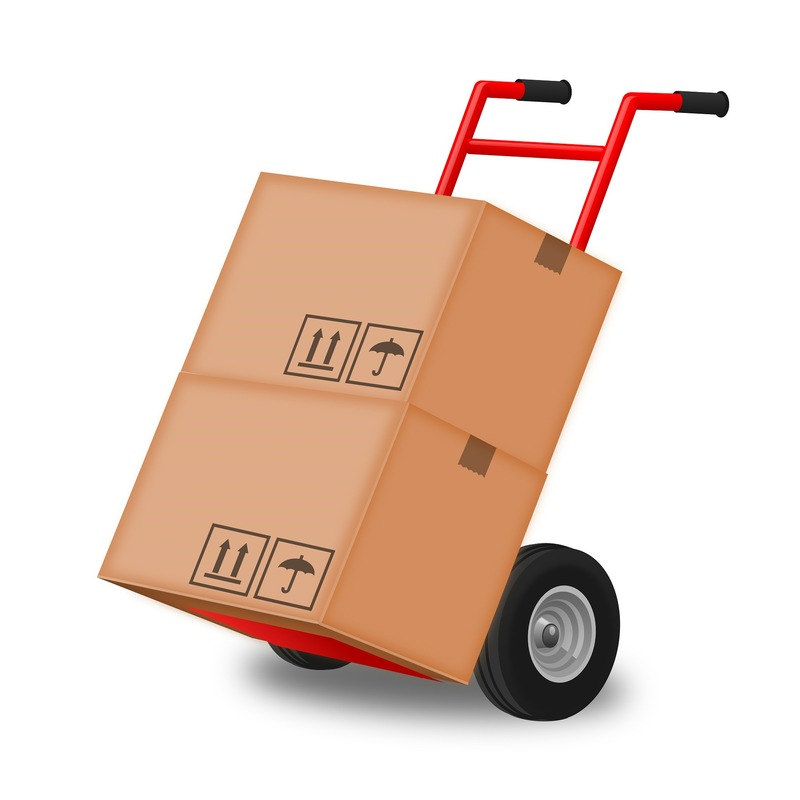 Not only for residential moves but sometimes businesses need new premises as well. There are plenty of reasons to want to move from one office space to another. Perhaps a better location has become available in a prime area. Or perhaps you have grown a business out of your home and now need an office space. Another reason for moving may be that you have reached a point where you can’t bring in more people for lack of space, and you can’t try and increase your profit margins until you can grow and expand. Whatever the reason, you have to make sure that the move is as successful as possible with the fewest amount disruptions. However, trying to make the move a successful one isn’t a piece of cake. Most people have experience moving from one house to another but there are differences between moving a residence and a business. With that in mind, here are some tips that will help when it comes time to move. Moving a business requires a lot of forethought and preparation. More so if you are an established business. You have to think about marketing the fact that you are moving by informing your customer base. This includes your current customer base and potential ones. Consider advertising on different mediums that you are moving and the date of the move. An easy way is to hand out flyers and post it on your company website. The key is to give the company at least three months to take care of every detail. If you have more time, that is a bonus. Six months would be ideal, but your schedule may not allow such time. The more time that you have, the more you can prepare and do the move in chunks. Just because your busy is moving locations, it doesn’t mean that your company has to shut down for the day. Yes, downtime is inevitable because you can’t operate while you move. But if you are a business that is closed on weekends, consider scheduling your move for a weekend. A benefit for a company that doesn’t open on the weekend is that there is no loss in productivity. Some business that are open on weekends will schedule moves after business hours. This also helps to minimize downtime. After hour moves or setting up the installation of services on a weekend may cost more but in the end it may be worth it. Yes, your staff can help you move from one building to another. They can help with the packing of their own offices and the set up of their new ones. Planning and preparation is key. Make sure employees have plenty of time to pack up their things and prepare for the move as well. A good practice is to provide them with a checklist of what needs to be done and a map showing a layout of the new office space. Moving offices can be a positive experience for employees as it creates excitement and can boost morale. Let employees set up and decorate their new space. Keep employees in the loop -communication is vital during a move. If nothing else, the move will help you thin out your inventory and stock. If you are like a lot of businesses you probably have a lot of items sitting and accumulating dust. The stockroom will be full of items that you bought years ago and have never used, taking up much-needed space. It is very common, as you think you might need it one day, so you don’t dare throw it away. Thankfully, moving is a great time to reconsider those dust collecting things that have no use. Moving items you don’t need is a massive waste of time, energy, and money, three things you are looking to save. As a result, you should throw away what you don’t need, or better yet, recycle what you can and consider donating items that are in good condition to local organizations that may need them more than you. Only move what you do need. Not only does it make the move easier, but it stops you from cluttering up your new office space. Obviously, anything that you need to function needs to go with you to your new destination. But, anything else should be considered carefully before moving it. One mistake that commercial residents make before they move is to trust everything that the lawyers and landlord says. I am not saying that they will tell you lies, but it is always better to be safe than sorry. At the end of the day, they do gain from selling or renting the space, especially if it has been empty for a while. What you want to do is take matters into your own hands. And, that means that you need to hire an independent agency to inspect your new digs. You will probably want everything from environmental testing services to construction inspection and beyond. The reason is that you want to check that the building complies with all the rules and regulations for your area. Hopefully, your move will go smoothly and without cause for concern. Just to be safe, make sure you get an inspection before signing on the dotted line. Of course, you need to stay safe while you are in the process of moving. Just because you aren’t doing a ‘normal’ day’s work doesn’t mean the laws of health and safety don’t apply. So, stay safe and think before you act. However, maintaining your safety is more than physical. When you move, your company is at risk of attack. Okay, hackers might not be queuing up to take a shot at your server. But, there are risks that can occur from a negligent point of view. It is pretty easy to leave sensitive information lying around when you move business premises. Because you are preoccupied with the move, you can easily forget about your privacy. As a result, you may not take the necessary precautions and lose all sense of security. Luckily, there is a piece of equipment that can help you tighten up your security: a shredder. Any piece of paper that is left behind needs shredding just to be safe. The odds are that it won’t lead to a data leak. Still, you don’t know what will happen after you leave. At least when you shred it, you don’t have to worry about it anymore. A good moving company should provide you with all of the advice necessary to make your move a successful one. All you have to do is ask them what they think and take it into consideration. This is another reason that you need to plan your move in advance, as the good moving companies tend to be booked and will require some advance notice. Ask the moving company how you should move, what should go first, what should go last etc. A good moving firm will help you plan your move and protect your items during the move. Some even offer a packing service. Whichever firm you choose, they should have insurance to cover all your items during the move. As far as the move goes, you need your IT services to be ready to go as soon as you move into your new premises. A honeymoon period where you set everything up in the first week is a bad idea. For starters, it could take longer than a week if there are problems. And, secondly, it is time you can’t afford to waste. There are certain things you need to work straight away, and IT is the main one. Your business probably can’t function without the internet, so make sure your new offices has a connection at the very least. If you have to, hire IT services to work through the night. It will cost more but avoiding downtime is worth it in the end. That is all it takes to move from one business premise to another. Yes, it is a lot of work. But, hopefully it will pay off in the long run.